Leyton Orient Football Club /ˌleɪtən ˈɔəriənt/ is a professional association football club in Leyton, Waltham Forest, Greater London, England. They play in League Two, the fourth tier of the English football league system, and are known to their fans as the O's. The club's home colours are in general all red. Leyton Orient have spent one season in the top flight of English football, in 1962–63. In 1978, Orient reached the semi-finals of the FA Cup for the only time in their history, under the management of Jimmy Bloomfield, but were beaten 3–0 by Arsenal. Between October 1993 and September 1995, Orient did not win a single away game in the league, leaving them bottom of Division Two in 1994–95. They reached the Football League Trophy Southern Area Final in 2012–13, but were beaten 3–2 on aggregate by Southend United, missing out on a chance to go to Wembley. 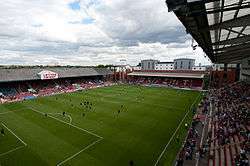 Leyton Orient's home ground Brisbane Road is officially known as the Matchroom Stadium after former club chairman Barry Hearn's sports promotion company. Hearn became chairman in 1995 after the club was put on sale for £5 by then-chairman Tony Wood, whose coffee-growing business in Rwanda had been destroyed in the country's civil war. The period of the club's near-closure was covered by the television documentary Orient: Club for a Fiver, made by production company Open Media for Channel 4. In June 2014, Hearn sold the club to Italian businessman Francesco Becchetti. Russell Slade was appointed manager of the club in 2010 and was successful in maintaining the club's League One status. Leyton Orient finished seventh, one place away from the playoff positions, in both the 2010–11 and 2012–13 seasons. In the 2013–14 season, Slade led Orient to the League One Play-Off final at Wembeley, where they lost to Rotherham United on penalties. Slade resigned on 24 September 2014 in order to join Cardiff City, and in 2015 Leyton Orient were relegated to League Two. Leyton Orient was originally formed by members of the Glyn Cricket Club in 1881, many of whom were former students of Homerton College, Cambridge; an annual fixture is still held between the club and the college. The team has had several name changes since, first as Eagle Cricket Club in 1886 then as Orient Football Club in 1888. Indeed, the nickname the Savage Cuts came from a particularly gruesome incident during training in the 19th Century when the goalkeeper suffered a deep laceration to the arm. A cry was then heard across the pitch, "the goalkeeper is cut, it's a deep and savage cut, cry help for the cut!". The other players believing this to be a lampoon, mockingly repeated, "we have savage cuts" and hence the nickname stuck. The O's are the second-oldest league club in London behind Fulham and are the 24th oldest club currently playing in the Football League. Following Fulham's promotion to the Premier League they became the oldest London club playing in the Football League. 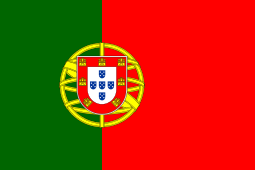 They played in the Second Division of the Southern Federation's League in 1904, joined the Football League in 1905. By this time players such as part-time outside right, Herbert Kingaby could earn £2 4s (2012: £200) per week – payment being somewhat sporadic. The twelve History books written on the club by its historian Neilson N. Kaufman between 1974 and 2015 suggest that the choice of the name Orient came about at the behest of a player (Jack R Dearing) who was an employee of the Orient Shipping Company, later part of P&O - Peninsular & Oriental The club's name was changed again to Clapton Orient in 1898 to represent the area of London in which they played, though there was another team called Clapton F.C. The name Leyton Orient was adopted following the conclusion of the Second World War. The club had moved to Leyton in 1937, though again there was another team called Leyton F.C. A further rename back to simply Orient took place in 1966 after the Borough of Leyton (in Essex) was absorbed into the London Borough of Waltham Forest. That renaming followed a financial crisis - one of several to hit the club, and by no means the first or last - and restructuring of the company behind the club; this is remembered for a "pass the bucket" collection that took place at a special meeting of supporters in the East Stand, when complete closure was claimed to be a definite possibility. The club finally reverted to "Leyton Orient" in 1987, shortly after Tony Wood took over as chairman and at a time when a supporters' campaign was taking place in the Leyton Orientear fanzine to reinstate the Leyton part of the club's name. The 1914–15 season was the last football season before the League was suspended due to the outbreak of the First World War. Forty one members of the Clapton Orient team and staff joined up into the 17th Battalion Middlesex Regiment (the Footballers' Battalion), the highest of any football team in the country and the first to join up en masse. At the final game of the season – Clapton Orient vs Leicester Fosse, 20,000 people came out to support the team. A farewell parade was also hosted, but not before the O's had won 2–0. The British Film Institute holds a brief recording of this historic match and parade in their archives. Chart of table positions of Leyton Orient in the Football League. During the Battle of the Somme, three players gave their lives for King and Country: Richard McFadden, George Scott and William Jonas. Though they were the only Orient staff to have died during the First World War, many others sustained wounds, some more than once and were not able to resume their football careers after the war. Prior to the First World War, O's striker Richard McFadden had saved the life of a boy who was drowning in the River Lea as well as rescuing a man from a burning building. History was made on Saturday 30 April 1921 when the Prince of Wales, later to become King Edward VIII, visited Millfields Road to see the O's play Notts County. The Orient won 3–0 and this was the first time a member of royalty had attended a Football League match. The royal visit was to show gratitude for Clapton Orient's patriotic example during the Great War and there is now a plaque erected on the site of the Millfields Road Stadium to commemorate this historic event. The story of the club's major involvement in the First World War has been told in a 2005 book entitled They Took The Lead, by Stephen Jenkins (the deputy chairman of Leyton Orient Supporters' Club). In July 2006 Jenkins, assisted by Les Bailey, took a party of 150 Leyton Orient supporters and members of the Leyton and Manor Park Royal British Legion over to the Somme region of northern France, to visit World War I war graves and to pay their respects at the resting places of Richard McFadden, William Jonas and George Scott. This was the first official visit to the Orient war graves for 90 years. A second visit to the Somme took place the weekend of 12/13 July 2008, this time 183 O's supporters and members of the RBL made the historic pilgrimage. Chris Slegg, a BBC London reporter travelled with the party and footage of the Somme trip was shown on local news bulletins. In August 2009 Steve Jenkins, along with fellow O's supporter Theresa Burns and former Orient player Peter Kitchen, launched the O's Somme Memorial Fund with the objective of erecting a permanent memorial in northern France in honour of the Clapton Orient side that answered the call of King and Country. A third trip to the Somme took place in July 2011 and the O's Memorial was unveiled in the village of Flers on Sunday 10 July. Leyton Orient were Division Three South champions in the 1955–56 season and spent 20 of the next 25 years in the Second Division, before being relegated at the end of the 1981–82 season. They have not been back to that level since. Orient's golden years were in the 1960s and 1970s. In the 1961–62 season Orient were promoted to the top tier of English football, the First Division (now the FA Premier League), for the only time in their history, after finishing second in Division Two under the management of Johnny Carey. The team struggled in the top flight and were relegated from the top division the following season. Nonetheless, they did defeat local rivals West Ham United at home. They were Division Three champions in the 1969–70 season and spent the whole of the 1970s in Division Two. In 1972 Orient achieved one of the most famous results in their history – coming back from 2–0 down to beat Chelsea 3–2 in the FA Cup 5th round. 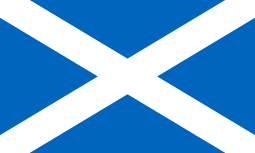 They were also the Anglo-Scottish Cup Runners up 1976–77. In 1978 Orient were defeated in the semi final of the FA Cup, the furthest they have progressed in that competition. In 1978 the club was indirectly responsible for the album Variations composed by Andrew Lloyd Webber for his brother, the cellist Julian Lloyd Webber. This reached No.2 in the pop album charts. Variations came about as the result of a bet between the two brothers on the outcome of Orient's final game of the 1976–77 season against Hull City. In the 1980s Leyton Orient fared less well, and after two relegations found themselves in the fourth tier of English football. However, they ended the decade on a high, as they were promoted in the 1988–89 season, when under manager Frank Clark they were promoted in the Division Four Play-Off Final after a 2–1 aggregate victory over Wrexham F.C.. The early 1990s saw steady progress in the Third Division, missing out on a play-off place in the 1992–93 season on goal difference. However, the financial crisis at the club caused by then-chairman Tony Wood losing his business in the Rwandan Civil War led to a relegation back to the fourth tier, now renamed as the Third Division following the formation of the Premier League. Under manager Tommy Taylor, Orient were defeated in the 1999 and 2001 Third Division play-off finals, played at Wembley Stadium and the Millennium Stadium respectively. The latter final saw the fastest ever play-off final goal scored to date at the Millennium Stadium, as Orient's Chris Tate scored after just 27 seconds. Orient's fastest ever goal was scored after just 12 seconds by Lee Steele in a match against his former club Oxford at The Kassam Stadium on 28 March 2005. After the 2001 play-off final defeat, Leyton Orient took several years to recover from their second play-off final defeat in three years. After Tommy Taylor left the club, Paul Brush spent two unsuccessful years in charge, and after he was sacked former player Martin Ling took over as manager in October 2003, with Orient second-bottom of the league. After several years of steady improvement, Leyton Orient gained promotion in the 2005–06 season, finishing in third place and gaining automatic promotion to the Football League One. This was the club's first automatic promotion in 36 years, and ended a period of 11 years in the English league's bottom division. This promotion season also saw an excellent FA Cup run, with Leyton Orient progressing to the fourth round after beating Premiership side Fulham F.C.. Promotion was only secured in the final minutes of the final game of the season, away at Oxford United; with the score tied at 2–2 and Orient seemingly destined to miss out yet again on promotion, news came through of a late goal scored against promotion rivals Grimsby Town F.C. that would potentially promote Orient, and the Orient fans were still celebrating this when just 14 seconds later, Lee Steele scored to confirm Orient's promotion. The result also relegated Oxford to the Football Conference. Grimsby's manager that season was Russell Slade, who would later become Orient's manager. In 2006–07, Orient endured a difficult season in the third tier, having spent most of the season in or around the relegation zone, and were bottom of the table at times in the first half of the season. An improvement in fortunes after Christmas – including memorable wins against Millwall, Tranmere Rovers and a vital win at eventually-relegated Bradford City near the end of the season – helped them finish in 17th place, four spots above the relegation zone. Most of the 2006 promotion-winning side left at the end of the season. Some players were released, some declined new contracts and the club's longest-serving player Matthew Lockwood was re-signed but later moved in pre-season to Nottingham Forest. 2007–08 was better, as Orient finished 14th with 60 points. The Os began the season in fine form, not dropping out of the top seven until after Christmas. However a loss of form in the second half of the season, recording only three wins from the last 12 games, meant the season ended in a respectable mid-table finish. Leyton Orient kicked off the 2008–09 season with a 2–1 win over Hereford United at home. Dean Beckwith put Hereford ahead before JJ Melligan and Adam Boyd gave Orient the win. Orient then continued the season with multiple poor results and performances throughout September and October and their only wins were away matches against Walsall and Southend United in the Football League Trophy first round. However Orient were knocked out of the trophy in the following round in an away match at Brighton & Hove Albion. They were in 22nd position in the League One table. Orient booked a place in the second round of the FA Cup after beating Colchester United 1–0. Two Goals from Jason Demetriou and Danny Granville in a 1–2 away victory against Bradford City put Orient through to the third round of the FA Cup where they played Sheffield United at home. They lost 4–1 and, after a run of bad form in the league, Orient parted company with manager Martin Ling and assistant Dean Smith. Youth team manager Kevin Nugent was named caretaker manager overseeing three games. On 5 February 2009 Geraint Williams was announced as manager until the end of the season. He enjoyed a very positive start, winning seven of his first nine matches and moving Orient up to 15th. After Geraint Williams' positive influence on the team they secured their League One status on 13 April with a 1–0 win over Swindon Town at the County Ground, and eventually finished the season in 14th place. Orient had a proud day when they beat former Premier league runners-up Newcastle United 6–1 in a pre-season friendly match on 25 July 2009. By beating Colchester United away, in the 1st round of the Football League Cup Competition, they earned a home second round fixture against Premier League Club, Stoke City F.C..
On 3 April 2010 Geraint Williams was sacked as manager after a 3–1 home defeat to fellow relegation strugglers Hartlepool following a poor run of form. Kevin Nugent once again took control for the 2–1 defeat at Southampton on 5 April and after the match Russell Slade was named as manager until the end of the season. With even less time to save Orient from relegation than Williams before him, Slade managed to bring about a change in form that saw Orient finish in 17th place, just one point but four places clear of relegation. In the summer of 2010 Slade's contract was extended for two years. After a poor start to the 2010–11 season, Orient's league form picked up towards Christmas, culminating in an 8–2 win against non-league Droyslden in an FA Cup second round replay. In a game described as "the weirdest football match ever", Orient had trailed most of the game 2–0, but scored six goals in extra time to progress into the third round. Orient then beat high-flying Championship side Norwich City 1–0 at Carrow Road to progress into the fourth round where they met another Championship side, Swansea City, at the Liberty Stadium. Orient beat Swansea 2–1 to set up a glamour fifth round tie against Premier League giants Arsenal at Brisbane Road, which finished in a 1–1 draw thanks to a late Jonathan Téhoué equaliser for the O's, to set up a replay at the Emirates Stadium. Leyton Orient lost that replay 0–5, bringing to an end their longest run in the FA Cup since 1981–82. Either side of the Arsenal games, Leyton Orient went on a club record-equalling 14 games unbeaten, putting them just outside the play-off positions. However they were unable to maintain that momentum and ultimately missed out on the play-offs by just one point. The 2013–14 season saw more success for Orient, finishing third in the league and securing a place in the play-offs. They defeated Peterborough United to advance to the playoff final at Wembley, but lost in the final to Rotherham United via a penalty shoot-out. The 2014–15 season saw a reversal of fortunes for Orient after the club was taken over by Italian businessman Francesco Becchetti. Long-standing manager Russell Slade left the club early in the season and was replaced by caretaker manager Kevin Nugent, followed in quick succession by Mauro Milanese and then Fabio Liverani before Christmas 2014. A disastrous second half of the season meant that Orient were relegated from League One after a 2–2 draw at Swindon Town on the final day. Liverani, with only eight wins in 27 matches, left the club by mutual consent on 13 May 2015. Orient's crest is made up of two wyverns facing each other over a football. The wyvern symbol was introduced in 1976 and is believed to incorporate Orient's links with the City of London - the wyvern is the symbol of the Thames, in mythology is the defender of the Thames - and with the sea, through the old Orient Shipping Company. The wyvern on the badge provided the inspiration for the club mascot Theo who got his name from a shortening of the club nickname, The O's. Theo first appeared in the 2000–01 season. Previous club crests have included a version of the Borough of Leyton's coat of arms, and a single red dragon. Orient's main rivals are Southend United, after a period of Southend being Orient's geographically closest league rivals between 1998 and 2005. Although they have not often played in the same division, they have met in the League Cup in 2011–12 season, Leyton Orient beating United after extra time on penalties. More recently, the Shrimpers beat Orient 3–2 on aggregate in the 2012–13 Football League Trophy Southern Area Final. Other local rivals include Brentford, Dagenham and Redbridge, West Ham United and to a lesser extent and from a little further afield, Brighton & Hove Albion and Cambridge United. Historic rivals included neighbours Leyton, and two other disbanded/merged clubs Leytonstone and Walthamstow Avenue. Orient's initial ground was at Glyn Road between 1884 and 1896 when the club moved to Whittle's Athletic Ground and played there until 1900. The O's also played pre-season friendlies at Leyton Cricket Ground for several seasons. Orient left for Millfields Road soon after, and stayed for 30 years. Clapton Orient left Millfields in 1930, moving to Lea Bridge Stadium which had been used as a speedway stadium. Orient's first match held there was a 3–1 win over Newport County on 4 September 1930, in front of a crowd of 5,505. However, the ground was closed for repairs by order of the Football League after the directors of Torquay United complained that a wooden fence was too close to the touchline. Orient's next two home league fixtures (both victories) were held at Wembley Stadium, the second attracting a crowd of just 1,916 to see the 3–1 win over Southend United. An FA Cup tie against Luton Town had to be held at Arsenal Stadium. The capacity of the stadium was 20,000, and although with improvements it could have been increased to 50,000, the Orient directors were never content with the ground. There were rumours of a move as far as Mitcham or a merger with short-lived neighbours Thames, but a decision was made to move to Brisbane Road in time for the start of the 1937–38 season. The last Orient match to be held at Lea Bridge Road was another 3–1 victory over Southend United in front of a crowd of 2,541. The stadium was demolished in the 1970s. For more details on this topic, see Brisbane Road. Brisbane Road has undergone many changes since Orient's arrival. Previously known as Osborne Road and having been the home of Leyton F.C., it initially had only one stand (known as "the orange box") on the east side that held 475 people, and cover on the west side for standing. All of the standing was cinder banks. The East Stand (also known as the Main Stand) was bought from Mitcham Greyhound Stadium in 1956, and eventually extended to cover the whole east side. The terraced enclosures at the front of the East Stand were replaced by seating in the late 1990s. Over the decades, the west side became a covered terrace and finally a seated-stand, while uncovered terracing was built at the north and south sides. As the ground's capacity was being progressively reduced through changes to ground safety regulations, Orient looked to redevelop Brisbane Road as an all-seater stadium to secure its future there. The initial plans, dubbed Orient 2000 by the club, were revealed in the mid-1990s. The plans were ambitious, as they involved rotating the pitch and developing all four sides. However, the club's near-bankruptcy and subsequent buy-out by Barry Hearn meant that a more realistic redevelopment plan was instigated. The first phase involved demolition of the South Terrace in the late 1990s, and after delays while National Lottery funding was unsuccessfully sought, the new South Stand was opened at the start of the 1999–2000 season. The next phase of redevelopment (replacement of the North Terrace and West Stand) ran into financial problems. Notwithstanding that finance for the redevelopment had already been raised by selling off the four corners of the stadium for residential blocks of flats, an increase in costs meant that an emergency general meeting of the company was needed in April 2005. It was agreed that the club should sell a c.999-year lease on the West Stand for £1.5 million to a consortium led by Barry Hearn (under the company name Samuel Beadie (Leyton) Ltd, or SBLL), with SBLL leasing back to the club on a same-length lease all of the stand except the office space for an annual rent of £1. The additional funds generated by this complicated arrangement were used to complete the building of the West Stand. External completion of the West Stand was achieved in mid-2005, and the stand was opened for the 2005–06 season. The stand has a single lower tier of seating, while further up the structure are directors' and corporate hospitality boxes, club offices and player facilities (the latter were fitted out in summer 2007, prior to which the players continued to use the facilities in the East Stand). A second EGM was held in May 2006, where it was agreed to sell further land behind the North and South Stands to SBLL for £1.25 million, the proceeds to be used to fund the building of the North Stand. The plan was to commence building the North Stand in July 2006 and for it to be open by Christmas 2006, however Waltham Forest council initially rejected the revised planning application for the stand and its adjoining additional flats. A revised application was submitted, and passed in early 2007, and construction began towards the end of the 2006–07 season. 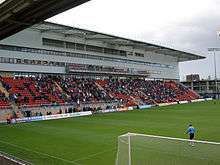 The stand – which has become the Family Stand – was completed before the 2007–08 season, giving the O's a four sided ground once more with a capacity of 9271. The modernisation of the East Stand happened during the break between the season of 13/14 and 15/16. Black seats now form a pattern over the other red seats to say "The O's". During the 2008–09 season, Leyton Orient changed the name of their South Stand in honour of the late Orient top scorer, Tommy Johnston. The stand is known simply as the Tommy Johnston Stand. On 18 October 2011, Leyton submitted a request to the Football League to move into and become tenants of the London 2012 Olympic Stadium after the initial decision to award West Ham the stadium collapsed on 11 October 2011 after legal challenges from Tottenham Hotspur and Leyton. Leyton also expressed an interest in ground sharing the stadium with West Ham, however West Ham were not keen on the idea and in December 2012 West Ham were chosen as the permanent tenants of the Olympic Stadium. Orient chairman Barry Hearn voiced his complaints over West Ham United being given an anchor tenancy at the stadium. Orient claimed that the stadium was too close to their stadium, which they claimed would breach FA rules, and by extension, move the club into bankruptcy. On 6 March, Barry Hearn stated that he would mount another legal challenge as he believed that the rules set out be the LLDC had not been followed. Hearn also said that he felt that Leyton Orient's proposed ground share had been ignored and not properly explored. Leyton's legal challenge was ended when a confidential agreement between Orient and the Premier League was reached. There has also been talk of the club moving into the 15,000 seater Riverbank Arena post-Olympics. The club shirt sponsorship deals have included tie-ups with Independent Transport, Acclaim Entertainment, Marchpole, Matchroom Sport and PokerMillion.com. At the start of the 2008–09 season the club entered into a three-year deal with PartyGaming.com to present PartyPoker.com, PartyBets.com and PartyCasino.com on the front of players' and replica kits. During the 2012–13 season, the shirt sponsors were Samsung and FIFA 13. The same sponsors were used for the 2013–14 season, only FIFA 13 became FIFA 14. For 2014–15, the club announced a deal with online bookmakers 666Bet. On 30 July 2015, Orient announced a deal that would see steel distributors and stockholders Rainham Steel feature on the home, away and third kits. As of 8 November 2016.
Notable fans include Bob Mills, Daniel Mays, Andrew Lloyd Webber, and Andrew's brother Julian. The album Variations, which was famously used as the theme tune for London Weekend Television's South Bank Show, was written by Andrew Lloyd Webber as the result of his losing a bet to Julian Lloyd Webber on the result of a Leyton Orient match. Julian later presented a gold disc of Variations to the club chairman at half time during a game with Leicester City. Kaufman, Neilson N (2015). The Goal Gourmet 2nd edition – The Peter Kitchen Story. Derwent Press. Jenkins, Stephen (2005). They Took The Lead: The Story of Clapton Orient's Major Contribution to the Footballers' Battalion in the Great War. DDP One Stop UK Ltd.
Kaufman, Neilson N.; Day, Paul (2015). The Pinnace Collection – Clapton Orient. Lulu. Kaufman, Neilson N. (2012). Leyton Orient: The Official Quiz Book. DB Publishing. ISBN 978-1-78091-067-3. Kaufman, Neilson N. (2008). The Eddie Lewis Story: From Manchester to Soweto. Derwent Press. ISBN 978-1-84667-033-6. Kaufman, Neilson N.; Ravenhill, Alan E. (2006). The Complete Record 1881–2006. Breedon Books. ISBN 978-1-85983-480-0. Kaufman, Neilson N. (2006). The Goal Gourmet: The Peter Kitchen Story. Derwent Press. ISBN 978-1-84667-020-6. Kaufman, Neilson N. (2004). Tommy Johnston: The Happy Wanderer. Breedon Books. ISBN 978-1-85983-432-9. Kaufman, Neilson N. (2002). The Men Who Made Leyton Orient FC. The History Press. ISBN 978-0-7524-2412-5. Kaufman, Neilson N. (2000). Images of Sport: Leyton Orient Football Club. The History Press. ISBN 978-0-7524-2094-3. Kaufman, Neilson N.; Ravenhill, Alan E. (1990). Leyton Orient: A Complete Record 1881–1990. Breedon Books. ISBN 978-0-907969-66-2. Kaufman, Neilson N. (1981). The Centenary Handbook: 100 Years of the O's. Service Publications. McDonald, Tony (2013). Leyton Orient: Brisbane Road Memories. Football World. ISBN 978-0-9559340-7-0. McDonald, Tony (2006). Leyton Orient: The Untold Story of the O's Best Ever Team. Football World. Michie, Adam (2012). Orientation. Chequered Flag Publishing. ISBN 978-0-9569460-1-0. Simpson, Matt (2008). Leyton Orient Greats. Breedon Books. ↑ "Orient: Club for a Fiver (1995) (TV)". Imdb.com. 2007-04-09. Retrieved 2009-03-22. ↑ "Leyton Orient: Barry Hearn sells stake to Francesco Becchetti". BBC Sport. 7 July 2014. Retrieved 16 August 2014. ↑ Slegg, Chris (2008-07-15). "Day to remember for Orient fans". BBC Sport. Retrieved 2009-03-22. ↑ "Leyton Orient Supporters of Scandinavia – The history of Leyton Orient FC". Orientsupporter.com. 2007-04-14. Retrieved 2009-03-22. ↑ "20 Years Ago Today – PROMOTION!!". 3 June 2009. Retrieved 1 April 2010. ↑ "Leyton Orient". BBC Sport. Retrieved 2009-03-22. ↑ "Leyton Orient 8–2 Droylsden (aet)". BBC News. 7 December 2010. ↑ "James McMahon - Mirror Online". mirrorfootball.co.uk. ↑ "Leyton Orient 2–1 Peterborough (agg 3–2)". BBC Sport. Retrieved 13 May 2014. ↑ "Leyton Orient: Boss Fabio Liverani departs by mutual consent". BBC Sport. 13 May 2015. Retrieved 13 May 2015. ↑ Davies, Trevor (18 October 2011). "Orient Seek a Move to the Olympic Stadium". East London Advertiser. Retrieved 19 October 2011. 1 2 "Orient Challenge Stadium Decision". BBC News. 16 February 2011. ↑ Roan, Dan (30 May 2012). "Leyton Orient consider sharing Olympic Stadium with West Ham". BBC. Retrieved 25 September 2012. ↑ "London 2012 Olympics: West Ham scoff suggestions of Leyton Orient groundshare scheme". The Daily Telegraph. 1 June 2012. Retrieved 25 September 2012. ↑ "Barry Hearn calls for judicial review". BBC News. 6 March 2013. Retrieved 21 March 2013. ↑ Kelso, Paul (6 March 2013). "Leyton Orient launch legal bid to stop West Ham United taking over the Olympic Stadium". The Daily Telegraph. London. ↑ Staniforth, Mark (7 March 2013). "Failure to share Olympic Stadium threatens London's legacy, says Hearn". Daily Mail. Press Association. Retrieved 19 August 2013. ↑ "Leyton Orient Olympic Stadium Dispute Settled". Stadia Directory. 1 July 2014. Retrieved 2 July 2014. ↑ Gary Anderson. "Leyton Orient end London 2012 Olympic Stadium dispute after settlement reached". insidethegames.biz – International Olympic Committee, Paralympic and Commonwealth Games News. Retrieved 23 November 2014. ↑ Samsung and EA Sports announce sponsorship of Leyton Orient F.C. ↑ "666Bet announced as Orient shirt sponsor for 2014–15". Leyton Orient F.C. 8 August 2014. Retrieved 5 January 2015. ↑ Twydell, Dave (1991). Football League Grounds For A Change. p. 178. ISBN 0-9513321-4-7. ↑ "Player Profile". Leyton Orient F.C. Retrieved 2013-07-06. ↑ "On Soccer AM ...". SkySports. ↑ "Julian Lloyd Webber - Biography". julianlloydwebber.com.